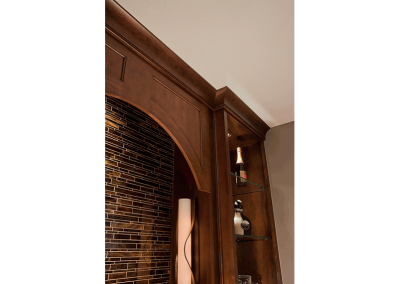 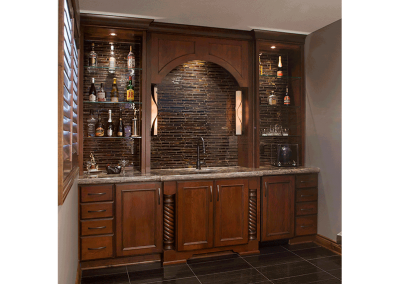 Begin and end your evening in this awesome wet bar. 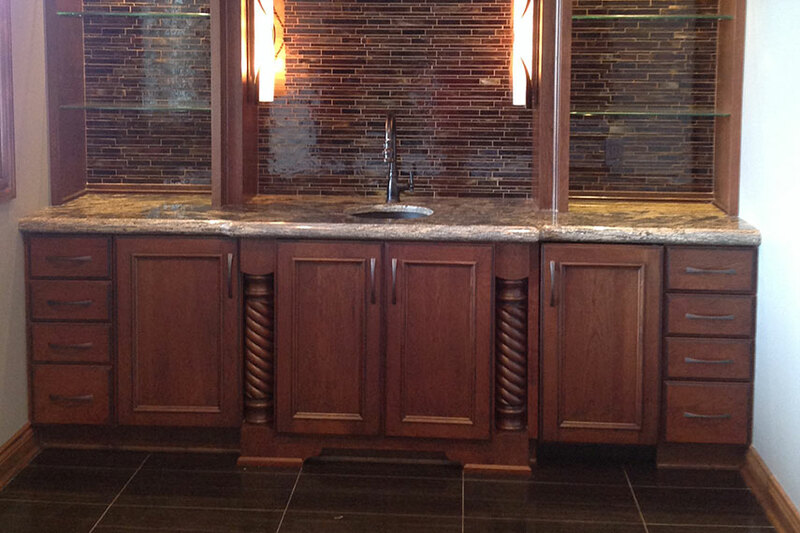 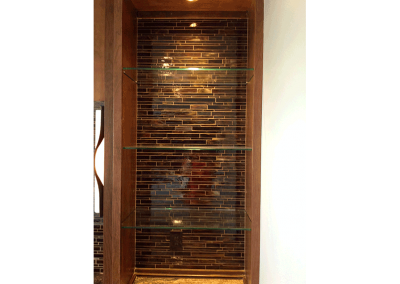 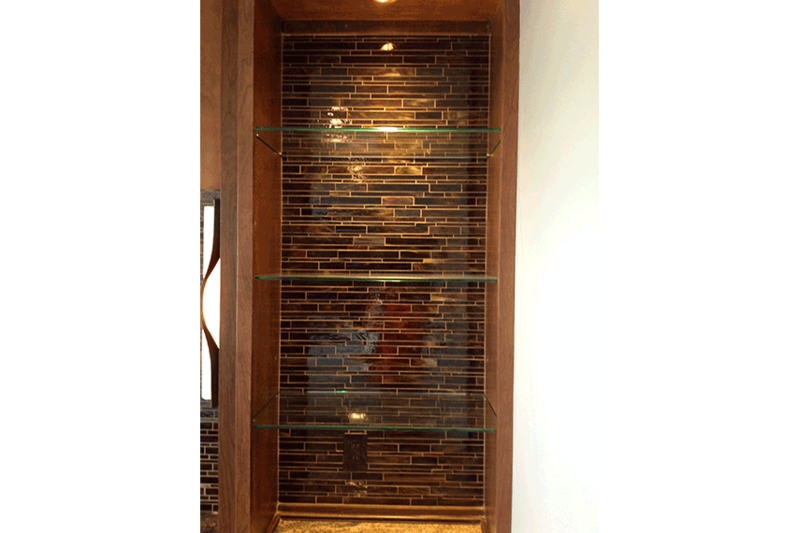 This detailed backsplash works great with this custom cabinetry. 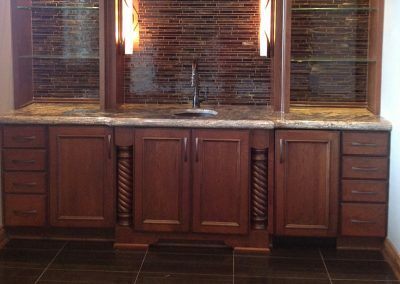 This wet bar has enough open storage for full service. 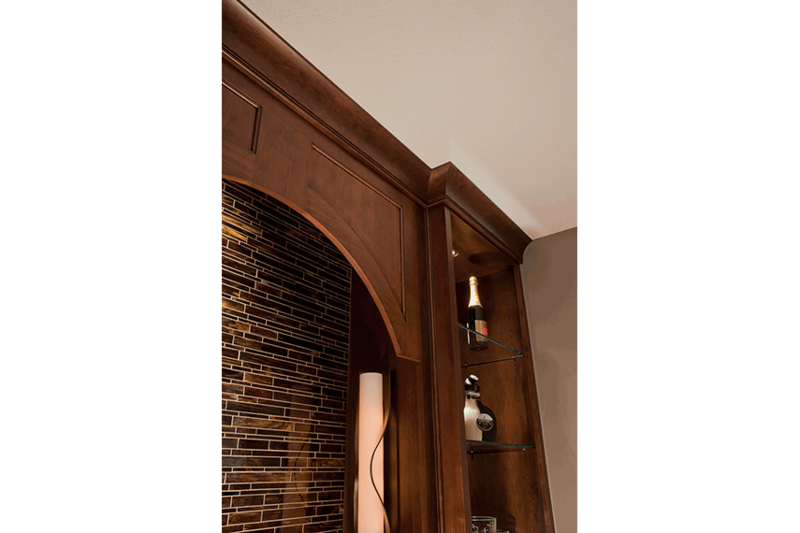 Lighting in all the right places. 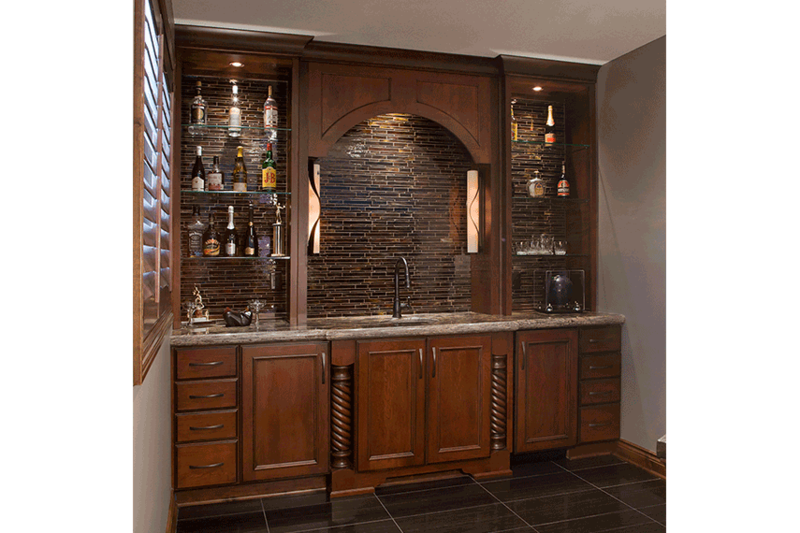 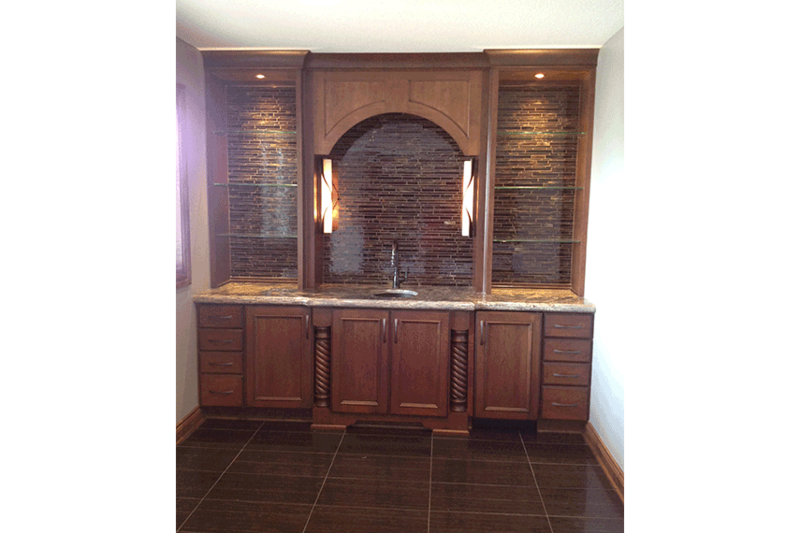 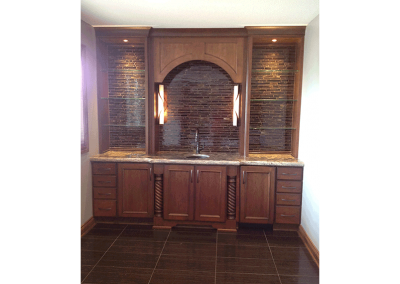 This classic style wet bar is sure to entertain.